OnePlus 5T Gets Unboxed Ahead Of Nov 16 Launch - All Details Revealed! OnePlus 5T Gets Unboxed Ahead Of Nov 16 Launch – All Details Revealed! OnePlus is all ready to launch the updated version of their current flagship, OnePlus 5 at New York City on 16th November. Just ahead of the unveiling, the upcoming OnePlus 5T was leaked in an unboxing video, revealing all details of this smartphone. As expected, the OnePlus 5T closely resembles the Oppo R11s in terms of design, sporting an edge to edge bezel-less display with 18:9 screen ratio and with a similar hardware spec-sheet. The much anticipated OnePlus 5T has been revealed in a leaked unboxing video. All details of this smartphone have been revealed, from internal specifications to the hardware and expected camera upgrades. Let us take a look at some of the details revealed in the leaked video. Thanks to the Edge to Edge Bezel-Less display, the fingerprint scanner on OnePlus 5T will now be placed on the rear panel. This is the first OnePlus smartphone to have a fingerprint scanner on the back. Previously, all smartphones from OnePlus 2 to OnePlus 5 have had their fingerprint scanner at the front. The OnePlus 5T will be equipped with a 6 inch display sporting extremely thin bezels. Though it does not curve on the sides like Galaxy S8 or Note 8, it sports the the latest 18:9 screen ratio with a Full HD+ panel and resolution of 2160 x 1080 pixels with Corning Gorilla Glass 5 protection on top. The design of the OnePlus 5T is definitely different from the OnePlus 5, thanks to the unusual display ratio and bezel-less display. 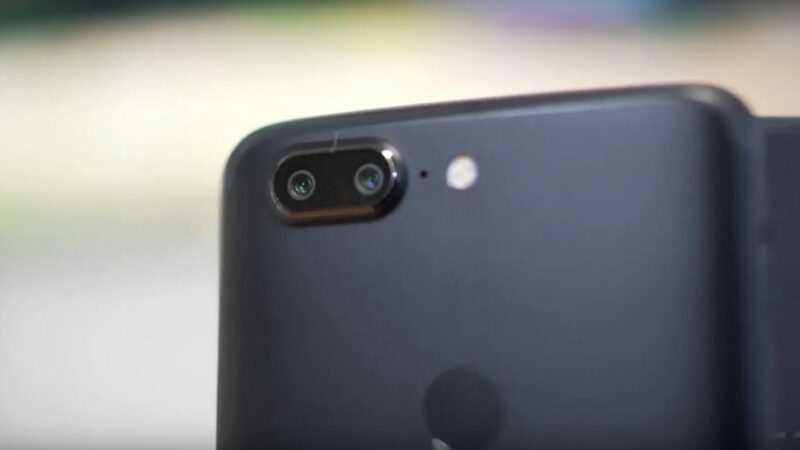 The dual cameras protrude from the back and look like the iPhone 7 Plus. OnePlus 5T will come with a camera bump at the back, instead of the pressed out sharp separated camera ring on OnePlus 5. As per the leaked specifications, the OnePlus 5T will run the same flagship processor from Qualcomm, Snapdragon 835. It will be paired with 8GB of RAM and 128GB of onboard storage. There has been no mention of other variants so far. The rear camera sees no upgrade, and the same 16 MP + 20 MP dual rear setup with a wide and telephoto lens will be seen on the OnePlus 5T. Up front, the selfie shooter has been upgraded to 20 MP, up from the 16 MP on OnePlus 5. OnePlus haven’t yet discarded the headphone jack. The OnePlus 5T will feature the 3.5mm headphone jack as well as the Dash Charge facility. The OnePlus 5T will pack in 3,300mAh battery, which is the same one from OnePlus 5, with support for their proprietary Dash Charging technology. 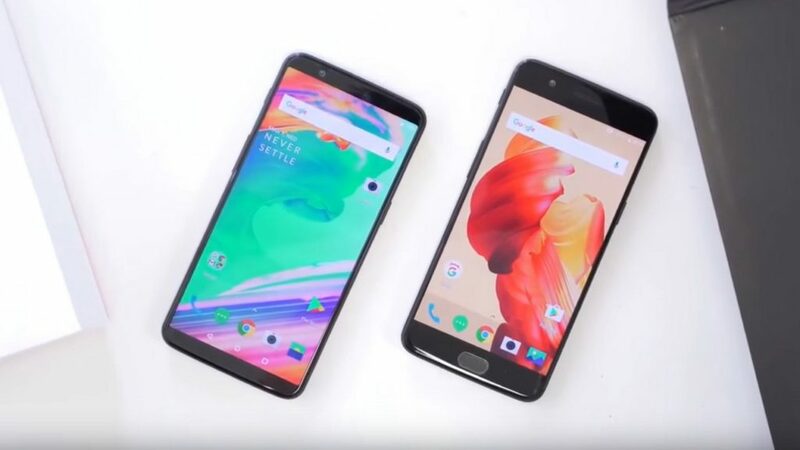 In the video, the OnePlus 5T was running Android 7.1.1 Nougat out of the box with OxygenOS on top. It is disappointing as Oreo is already out for three months now, and several newly launched phones like Sony Xperia XZ1 & HTC U11+ are shipping with Android 8.0 Oreo. But this could change by the time the 5T actually hits the market. "OnePlus 5T Gets Unboxed Ahead Of Nov 16 Launch - All Details Revealed! ", 5 out of 5 based on 2 ratings. Alibaba’s $25 Bn Singles Day Sales Smashes Records; Wants A Stake In Big Basket Now! OnePlus 6 Price, Specifications & Features Leaked On HDFC’s Smart Buy Page! OnePlus 6 Officially Teased; Is There An Avenger-Themed Limited Edition? OnePlus 6 Details & Images Leaked Online – 7 Things You Should Know! Moto Z2 Force Launched In India; Smartphone With A Shatterproof Screen! OnePlus Launches Lava Red OnePlus 5T; Mumbai Store Opening Today! OnePlus Breaks The Billion-Dollar Sales Barrier; Sets Even Higher Goals!